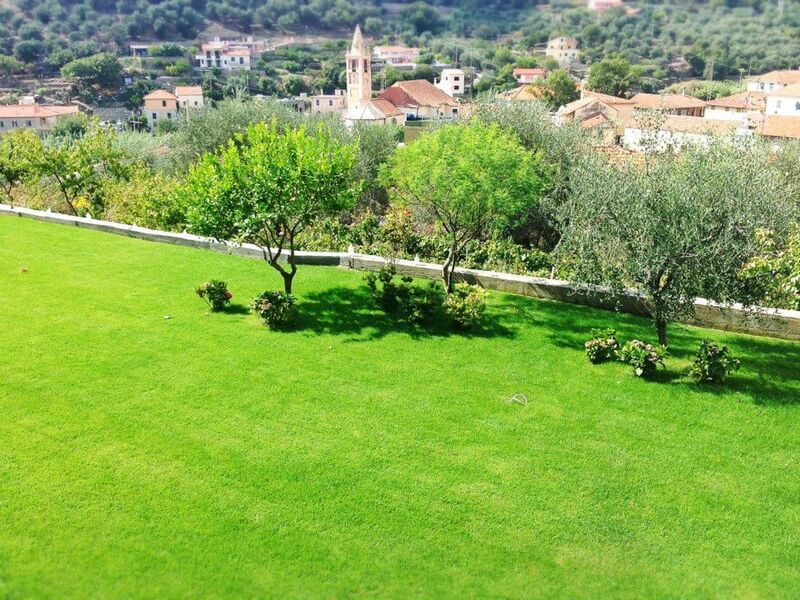 Yoga, home-cooked meals, peaceful green hill vistas and sea-side breeze! This is a small boutique retreat - we can accommodate maximum 8 people. You will be welcomed and hosted with extra thoughtfulness and care. If you want to become part of our italian family, be sure to book early as the places will fill up. Let the sunshine in and enjoy life italian style! PS! If you haven't practice with Liina, read her short bio or her longer blog posts about her yoga journey or do a class with her online. 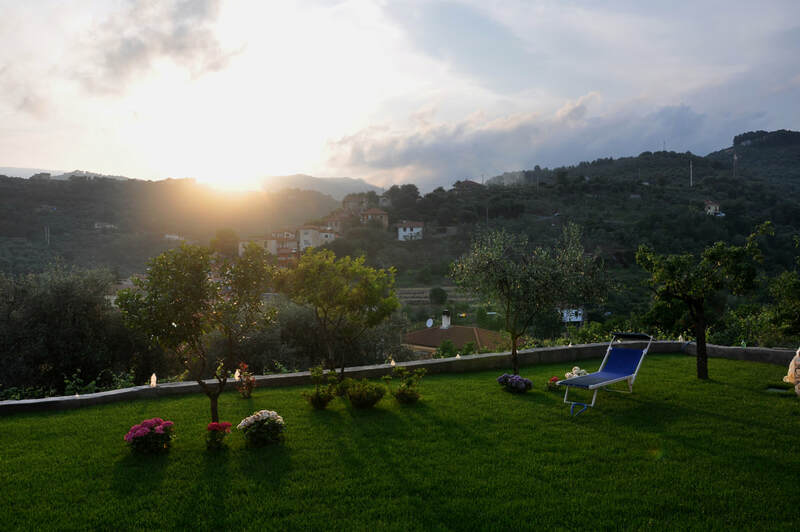 ​Diano Green is a small Bed and Breakfast run by my good friend Alessandra and her family. About 5 years ago, Alessandra made a U-turn in her life, she left her job as a journalist and her busy life in Milan and moved to the countryside. 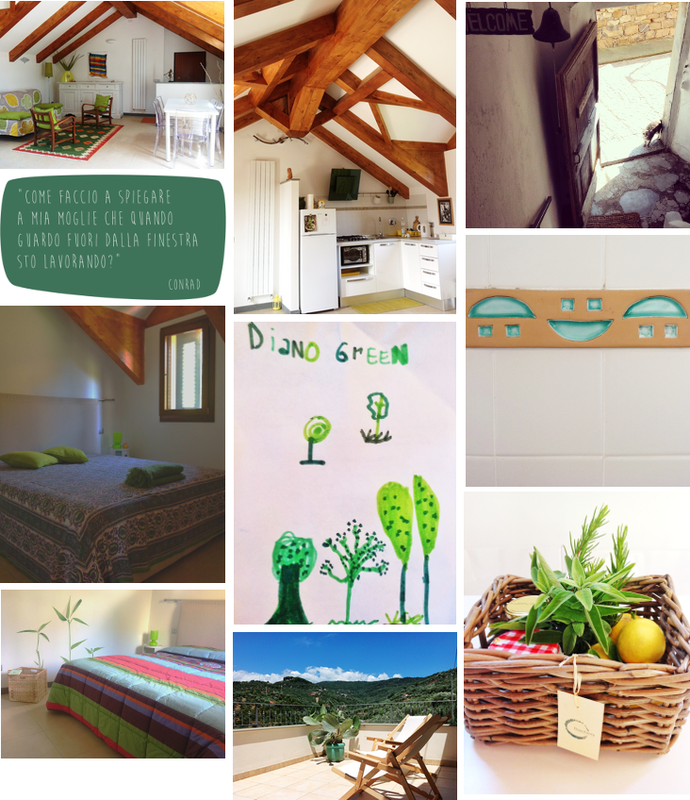 Diano Green manifesto is Alessandra's vision to live move simply, more quietly and more in rhythm with nature. She wants to invite her guests to take time out, to make them feel at home and to offer simple, healthy, local food. Here I will be offering a balancing mix of Yin yoga, Vinyasa yoga, meditation and pranayama every morning and evening. By combining more dynamic movement based practices with more passive, meditative, reflective practices we are seeking to balance and rejuvenate our body, calm and focus our mind. A perfect holiday for health and wellbeing! The concept of this retreat is very close to my heart. In todays world slowing down is kind of a radical decision. For the last few years I have been passionate about practices that allow us to pause, to be more present in our bodies in a gentle and nourishing way. The aim of these days is to give our bodies and minds a "time out" - there will be movement, but it'll be sweet and gentle. The morning and evening yoga session will mix the static holds of Yin yoga with rest and relaxation orientated Restorative poses. There will be guided and unguided meditations, Yoga Nidra, breath work, crystal bowl sound healing, journaling. Here are two links to blogs posts that might be of interest if you new to the Yin/Restorative realm or even wonder why slow yoga in the first place. On both retreats you will have plenty of free time during the day to stay in the villa and relax or go to explore the nearby villages and markets or rest by the seaside. one apartment for 5 people with 2 double beds and 1 single bed. The apartment has 2 bathrooms, a kitchen, living-room and a terrace. 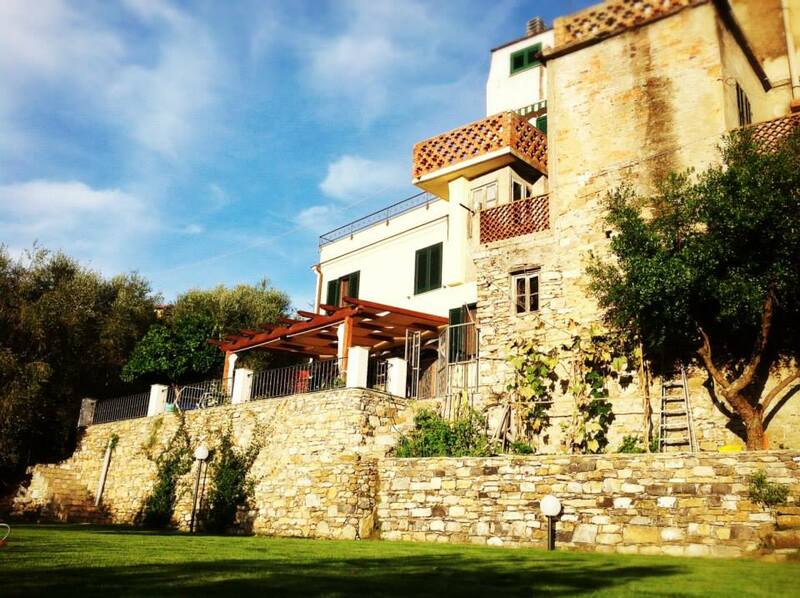 The closest small town is Diano Marina (3 km down the hill); in 6 km you reach a gorgeous medieval seaside village Cervo full of history, good food, excellent wine and scenic views; there's a long coast line for beach-time, walks or cycling trips. 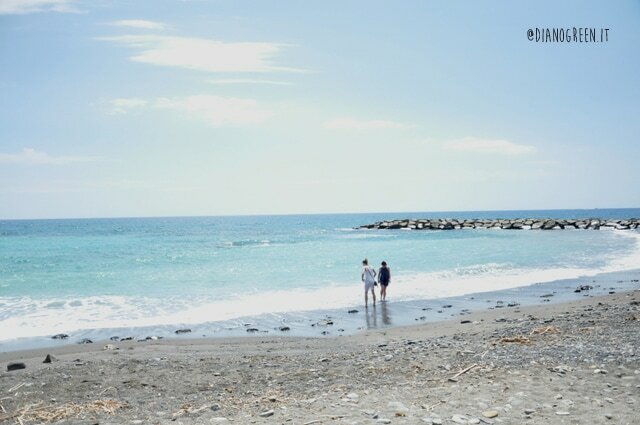 Your destination Diano Marina is about 3h train-ride from Milan or 2,5 hours by car. Other closer airports are Genova (1 h by train/car) and Nice, France (1,5h by car/2,5 h by trains). These travel arrangements you have to make on your own, but I am happy to assist with any questions you might have. We will pick you up from Diano train station. The prices do NOT include your flight nor your transport to Diano Marina. You need to make your own traveling arrangements, but I am happy to help if you have questions. SUBSCRIBE and receive a FREE yoga video with a mellow, restorative practice.